I was very privileged to attend the konkani tiatr written and directed by Raymond Menezes a multi-talented writer, director, actor who has been active on the Konkani drama scene in Canada since 1989. Also known as Jr. Menezes on stage the konkani theatre impresario in Toronto, Canada and was produced by James Fernandes on Sat June 19, 2010. Tanzania with gifts and love for the children of the Mother Teresa's Mburahati Orphanage as well as the Msimbazi Orphanage in Dar es Salaam run by Fr. Mansuetus and since their return have been trying to raise funds for these forgotten children, to give back to the children of Tanzania who we too once were. This project called the 'charity outreach ' was part of his Tanzanite Toronto 2009 Presidency Mandate and he made sure that all items were personally delivered. James has been involved in many projects over the years in Toronto and the outcome is always the same - excellent. Although never or maybe seldom acknowledged for his artistic and creative talent, he is always humble and never loud to overpower his concepts. I was very impressed by the visual effects which were second to none during my entire life attending the konkani tiatrs in Toronto since their inception. Raymond (Junior) was given this opportunity by the late Richard Fernandes who started the Goan Konkani Troupe in Toronto and introduced Junior to the Group. Junior hails from Sonarbatt, Quepem, Goa. He has been involved in Tiatr since his childhood, having written his first drama at the age of 13. Soon after immigrating to Canada, he presented his first Tiatr in Toronto in 1989. In 1999, he performed with Goa's Melody King and Radio Star the late Alfred Rose, along with Rita Rose. He also directed M. Boyers hit Tiatros like "Burgim Anik Bangar", "Adim tem atam hem" and Rosferns "Budhvont". Jr. Menezes usually does comedy roles and is called the Jancint Vaz of the Canadian Konkani stage. Amongst his other tiatr achievements, was 'Adeus' which he wrote, directed and participated in. Junior definitely put a lot of time and effort into this production and it showed. Everyone who attended this event went home with a lump in their throat as to how much this young man is trying to put our beloved Konkani and our homeland of Goa on the map and in each and every goan's mind. I was fortunate to travel with Jr. Menezes to Goa in December 1994. He has such a passion for Goa, the land and its people and especially the language which is unique. He is a very passionate man when it comes to Goa and all things Goan. The curtain opened with a family among others boarding a flight. A flight that ended in tragedy and left behind a young orphan girl Roma. The visual effects of the crash were simply amazing. Roma was raised by her paternal uncle, his wife and their son. Growing up in this extended family was no easy task for a little girl who just wanted to be loved but the aunt was not that giving. She made the little girl's life hell on earth and were it not for her young cousin and uncle, Roma would indeed be alone. Roma was married and again as luck would have it, she was in the clutches of a mother-in-law who was suspicious of her every move. It was revealed to Roma by an old visionary priest that her husband was to die a certain death but Roma made a pact with Jesus at the site of the wooden cross that she would make a novena and come before the cross to pray for his good health and life, she promised that she would attend and pray at the wooden cross every Friday and make a novena and not break it. Her father-in-law overhead her make her pact with Jesus but she swore him to secrecy as if anyone knew of her great sacrifice for her husband it would render the pact void. Her father-in-law was the silver lining under every cloud but her mother-in-law and husband could not understand why she was going out alone and suspected that she was up to no good. Her mother-in-law berated her and so did the husband and then both turned against her and finally her husband threatened to divorce her. Roma was watched by her husband and mother at every turn and she missed making her trip on the last day of her novena. That day unfortunately her husband had a massive heart attack and died. Roma went to the cross to ask why Jesus had let her down as she had kept her side of the bargain. Then come into play the visual effects and Jesus gets displayed on the wooden cross that she used to go to pray for her husband's good health and Roma understood and begged Jesus to forgive her. Her husband then made a miraculous recovery and her father-in-law explained. There were few dry eyes in the audience. Thanks to A.C. Pereira for co-ordinating the visual effects with Jr. Menezes and to Josie (Josephine) Carrasco (nee Dias) for being a right hand person for the konkani tiatr. Josie I understand worked tirelessly with the cast and learnt everyone's lines so that she could prompt them when needed. Winnie Crasto received the Richard Fernandes Award, which was donated by Jr. Menezes in memory of the late Richard Fernandes and presented by Richard's wife Rosy, for making her mark on Konkani tiatr and for giving of herself with love and passion. Amongst other recognitions handed out, were the producer recognition awards which were given to Josie Carrasco, Terry Carrasco, Keith Crasto, Alywn Gomes & Lourdinho Rodericks. Faria Fernandes as the older Roma was in my words simply fantastic and gets my nod for her stellar performance. Thanks to Terrence Carrasco, Keith Crasto, Lourdinho Rodrigues, Grace Almeida, Jude Menezes, Pradeep Mahabir, Gregorgy Fernandes, Allwyn Gomes and Willie Gracias and all the others who worked behind the scences tirelessly but don't always get the praise. Of course Olavo DaCosta made a terrific M.C. The comedians and singers like Auggie Pereira, Hazel Jacob, Lara Rebello, Oscar Nazareth, Winnie Crasto, Charmaine Menezes (Jr.'s lovely wife), Steven Fernandes, Ruth Kumar (she gives a lovely rendition of Lorna) Joyson and Wilson D'Souza, Miguel Barretto and my heartrob Agnello Fernandes who came all the way from the USA for each practice and the final performance. And Brendan Abreu (who probably did not understand everything) was the dedicated official photographer for the tiatr not forgetting June Dias (Josie's daughter) who was the official videographer. All these people showed total dedication. Of course, what can I say about our own AC Pereira. He was a total hit with his protrayal of a cross dresser but then which is the real AC? I never know as he wears so many hats. It is people like these and the rest of the crew make me proud to be a Goan and one who loves Goa, was born there (though I moved to Dar at the age of 7) and has spoken the language since birth. Growing up in Dar es Salaam where my parents were often rediculed by other goans for speaking to the children in konkani. I remember my mother always saying it is okay if my English is not perfect or even broken at least all my children know our mother tongue and for which I have always thanked my parents. All six of us children know the language fluently and it is only unselfish parents like mine that imparted this gift to us which we all love and appreciate. I can go to Goa and feel completely at home be it taking the buses all alone, haggling at the markets about the prices or enjoying the tiatrs there. Knowing the language or any other language for that matter other than the one spoke at home is always a big plus. Jr. Menezes should be commended for his hard work and for striving for excellence in his adopted country of Canada. He is a welcome addition to the fabric and mozaic of multi-cultural Toronto. Viva Goa. Toronto: Billed as a masterpiece, Raymond (Jr) Menezes's Konkani play 'Dukh' (Sorrow) was just average, lacking subtle twists and turns to engage the minds -- and hearts -- of the audience. The family drama was overly laced with a vulgar sideshow that reduced it to a nautch performance. The repeated appearances of the eunuchs, Chamelli (AC Pereira) and Shamilli (Alexander Goveas), were at times disgusting. Where just words with sexual overtones would do, the duo engaged in outrageous acts. In one scene, Alexander touches the private parts of Jr. Menezes's, who becomes a temporary business partner of Chameli. Unholy laughter mixed with embarrassing wails ran across the hall. That act sank the play into obscenity. Despite the limited scope provided to her, Faria Fernandes, the main character as Roma, the suffering orphan raised by a cruel aunt Marialyn (Winnie Crasto) but a loving and understanding uncle Freddy (Joe Rodrigues) who adopts her after her parents, Peter and Angela (real life husband and wife Raymond and Charmaine Menezes), die in a mid-air plane explosion, does great merit to her role. Roma carries her personal cross from early childhood till end of play in a dignified, rancour-free manner. While Marialyn's tone is subdued and her actions innocuous, which does not do justice to her role as the angry and hate-filled aunt, Freddy is composed and relaxed. Faria's acting is unmatched by her stay-at-home husband Sydney (Gasper Moraes), who is adapt at romping the house in his permanent track shoes and in a permanent mindless state. Adding a few romantic scenes between the newly-married pair would have added some meat to the drama even though Roma is burdened with the thought of her husbandâ€™s imminent death as predicted by Fr. Misquita (Frank Fernandes) when he blesses her on her wedding day. Roma diligently sneaks away daily from home at night to offer prayers to an old, abandoned and broken Holy Cross, which the priest says to be miraculous, for a certain period of time as advised by the priest to save her husband from certain death. Roma is sworn to keep it a secret though Roma's father-in-law, Braz (Caj Rodrigues), overhears the priest's prophecy from behind a curtain. Since Roma's father-in-law is also sworn to silence by Roma, he cannot divulge the secret to his son and wife why Roma is out at night. He bears her pain but is helpless. The mother-in-law, Amelia (Maria Pereira), is suspicious about her daughter-in-law's walks of faith at the unholy hours of midnight and confronts Roma. The husband also joins his mother in adding to Roma's misery by alleging infidelity. On the fateful day, he blocks her and as he raises his hand to strike Roma he falls to the floor. Perturbed yet persistent, Roma makes her final run to the Holy Cross. She quarrels as well as pleads with the Holy Cross, which is shown new and unbroken to allow the figure of Jesus Christ to be projected on it before making the figure fade away. It would have been a fitting finale if Roma had embraced Sydney and let the miracle unfold with Sydney rising from the dead in her arms. Since Jr. Menezes penned the play when he was 16 years old, it is no surprise that the play is an amateurish (you could call it shame-amateurish) attempt, a far cry from his previous production Adeus. Two scenes that stood out were the opening act of the plane's explosion with the aid of a video clip and the Holy Cross in the dark of the night with special effects. The sideshow was hackneyed. The comedy pair, Rokojin (Jr. Menezes) and Domacian (Patrick Pereira), with Dumetin (Serah Barbosa) thrown in between as the vegetable seller, played roles done many times on the Konkani stage in India. Serah seemed restricted in her role, appearing sparsely, and speaking, like her comic comrade-in-arms, in redundant dialogues. USA-based Agnelo Fernandes and Miguel Baretto made impressive debuts in Toronto with their singing. Agnelo was exceptionally good. With the exception of just a couple of songs, with the worst being Alman, sung by Jossie Carrasco and Jr. Menezes, the rest were excellent. 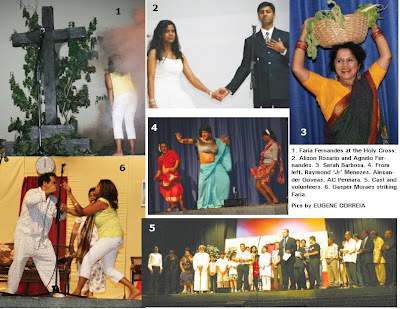 Lourdinho Rodrigues, former president of the now-defunct Goan Konkani Troupe, paid tributes to the contributions made by many past and present actors and volunteers to sustain the Konkani theatrical movement in Toronto. He particularlay thanked Jr. Menezes on behalf of the Goan community for all you have done for the Konkani stage. The tiatr movement in Toronto started in 1976 with the staging of Alzirachem Sopon by the late Richard Fernandes. The response to the presentation was encouraging and gave impetus to the formation of the Goan Theatrical Group (GTG) in 1978. Even before the formation of GTG, a group of actors went to Montreal to perform. Many families passiontely worked hard to promote the tiatr movement in the early stages. Some notable contributors have been Richard Fernandes along with his wife Rosy, late Frank D’Souza and his daughter Margaret D’Souza, and Lena Remedios played major roles in sustaining the GTG for many years. Maggie Francis and her son Errol Francis and his family, Neves and Zulema D'Souza and family, Martin and the late Natalie Rodrigues and family. Internal bickerings and personality clashes among the key members forced Richard Fernandes to break away and form a rival organisation, the Goan Konkani Troupe (GKT) in 1989. Richard was joined by Raul Colaco and Auggie Pereira and later Raymond Menezes. That same year, GKT staged its first tiatr, Familichem Nissonton. The actors were mostly Goans from Africa. With the exception of a few, most of them fumbled with Konkani. Despite this shortcoming on the part of the actors, they managed to entertain tiatrgoers. As then and till now, the younger generation do not find this type of entertainment suitable for enjoyment, primarily because they neither speak nor understand the language. The character roles played by Richard, Lena, late Braz D’Cruz, Frank D'Souza, Maggie Francis, and Martin Rodrigues and the directional ability of Margaret kept the GTG going till the GKT came into being. As the KTG grew in strength, it drove GTG into oblivion. The GKT brought its curtains down in late 1990s Now only a semi-formal SAM Productions, headed by Marshall Fernandes, is in existence. The arrival of Raymond Menezes, popularly known as Jr. Menezes, gave a shot in the arm for the tiatr with his performance in Familichem Nissonton in 1989. His limited experience of having acted in village tiatrs stood him in good stead. Besides, his short stature, his sastti dialect and his timid imitation of the late M. Boyer earned him recognition among the audience. He enhanced his standing by writing and directing his first play Adeus (Goodbye) in 1990 under the auspices of GKT. Raymond became the darling of the tiatr lovers -- and has stayed ever so. Adeus was repeated again in 1998 and 2008, the last one rewritten and staged with special effects in a performing arts hall. A crop of young, enthusiatic actors came up in the early 90s. Sisters Faria and Grace Fernades, Winnie Crasto, Sandra Menezes, Serah Barbosa, Joe Moraes, Olavio da Costa, Joe Vaz, and Marshall Fernandes come to mind. Most of them continue to give their best. Going by her recent performance in Chuk Konnachi?, Grace has matured into a fine character actor and Serah as a comedianne. Those who were seen as child artists in the 90s have grown up and hold their own among the seasoned actors. One such actor is Rhiza Gracias. Rhiza comes from a family of tiatrists. Her parents, Agnelo and Yolanda, have been the mainstay of the tiatr scene for the last five years or so. Most of the current actors have a good command over the language, unlike the uneasiness shown by those in the formative years of the tiatr movement. 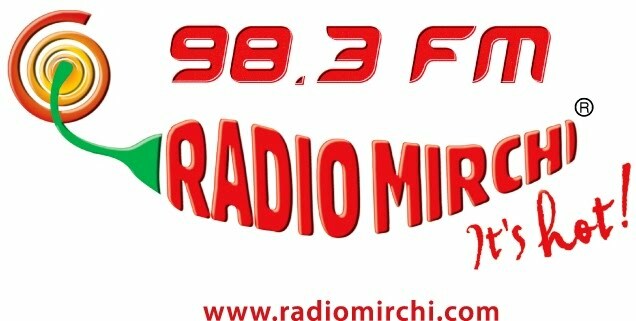 Speaking the language fluently is definitely a big factor in raising the level of the tiatr. If the standard is to be improved further it would be necessary to stage plays written by Canadian Goans. Adeus was a good effort. The trend to either borrow or, may I dare say, steal tiatrs written by noted playwrights, such as Boyer, Prince Jacob, Roseferns, to name but a few, and stage them in modified forms should be broken. Directors or producers here often retain the original story lines but mesh it up with sub-plots that destroys the originality of the tiatr. Such acts are unethical and unjustifiable. Directors should also be large-hearted to share their profits with their fellow artistes who give lot of their time and often spend money from their pockets. A trust could be formed and interest money earned could be used to train young Goans in performing arts. With Viva Goa off the calendar, tiatr is now back at centrestage of Goan cultural life. Since the beginning of the tiatr movement at least 20 tiatrs have been staged in Toronto. Local groups have travelled to Montreal, London, England, and New York. The most recent tiatr, Chuk Konnachi?, by Marshall Fernandes, was well performed with a fine cast of talented actors and singers, some of them having matured exceedingly well. It raised the bar and it would need great efforts on all those involved in the triatr movement to keep it up. This piece was written for the GOA 40th anniversary souvenir but did not get published because it missed the deadline for various reasons. Eugene Correia was a member of the tiatr critics’ panel in Mumbai before migrating to Canada in 1981. He has witnessed and written about tiatrs in Toronto since the early 1980s. presentation of the Tiatr was the added attraction of the programme. appreciated about the entire concert and the accompanied programmes. applause from the entire audience. could not make it in time and found that the box office had closed. How I got entry is my good luck and well, that is another story! play and their role in particular. scene in Canada since 1989 and has directed nearly a dozen concerts. and I found that gave best and very impressive performance. Jr. Menezes steals the show in the best Konkani Tiatro so far in Toronto, Canada! Toronto, October 16, 2007: The Goan Konkani audience at Michael Power School Auditorium in Etobicoke, Toronto left the hall in frenzy and with great satisfaction after watching a Konkani Tiatro written and directed by Jr. Menezes, a.k.a Raymond Menezes, born in Quepem, Goa, now residing in Toronto, Canada. This Tiatro was reminiscent of the amazing Tiatros produced and directed by the likes of J.P. Souzalin and Prem Kumar, the great directors who brought us Tiatros filled with scenes/scenarios, special effects, revolving stage and other props and sets. This Tiatro in no way will be any different than the Tiatros produced by today's directors in Goa, like Prince Jacob, Roseferns and Mario Menezes. The artistes who performed this Tiatro in Toronto are very much well-versed in fluent Konkani as can be witnessed by the solid dialogues that were exchanged in perfect delivery. Jr. Menezes made history in Konkani Theatre in North America by donning a Goan Kashtty on stage, one of the only 2 Goan Tiatrists to do so after the late Prem Kumar held this record in his Tiatro, “Vavraddi”. Incidentally the audience was asked to observe a minute's silence in honour of the great Goan Director, actor and innovator of the Konkani Tiatro, Prem Kumar, a.k.a. Peter Da Costa, who died a day earlier to this performance. Jr. Menezes regaled the audience with his fine performance in various roles as a skilled director, writer, comedian, character actor, a tribal (gavddi) in kashtty and as a singer par excellence. Besides the above skills, Raymond Menezes was instrumental in producing a fine DVD with his camera operating skills, mixing, sound effects, designing sets, and giving an impressive transition from the video to the actual acting on the stage. Jr. Menezes has a great potential with his natural art, acting, comedy and musical skills that he possesses, and could potentially be a creative advisor/contributor to Pixar Films in Silicon Valley. His wife, Charmaine is a natural complement to the wealth of their family skills and art, together with their kids, Nikita, Stephanie and Jude Menezes. Charmaine's canto was just exceptional. This was the first Tiatro that Jr. Menezes' wrote, which he said he created when he was only 17. After performing this Tiatro when he first arrived in Canada years ago, he fine-polished it and improvised it in its current version by adding new roles such as the tribal woman (gavddin Andrez), which was perfectly enacted by Serah Barbosa (my other half) and that of a ghantti, equally well-performed by A.C. Pereira. Jr. Menezes and Serah and A.C. Pereira mesmerized the audience with their hilarious antics on stage obtaining peals of laughter from the very responsive and satisfying audience. These three names reverberated the most on the lips of the audience throughout the show and after. The contribution by a galaxy of talented artistes including the tiny Goan talented kids contributed tremendously to the overall success of this beautiful play, which is sure to please a packed audience in New Jersey, U.S.A on November 10, 2007. This play was witnessed by some 600 spectators in a houseful-capacity hall. The play started with a DVD flashback with a couple kids playing in a park, especially a little boy and a girl who were always together in a playful mood. At the end of the projected video there is a nice transition, as this pair of kids continue their playful catch-up on stage as they grow up. I will not delve too much on the story as this play is scheduled to perform in New Jersey, except to say that this Tiatro slowly unwinds the story of these star-crossed lovers and the scenes on their journey are sure to please the audience especially the part at the end of the play. This Tiatro is full of vivid scenes and scenarios. I liked this Tiatro very much and it has no doubt created a record as being the best Konkani Tiatro so far in the history of Konkani Tiatro in Toronto, Canada, especially because it was conceived and written and directed by a Canadian Goan. Here are the performers who made this Tiatro the best one so far: Joe Vaz,(hero) Clema Fernandes, Jr. Menezes, Serah Barbosa, Jude Menezes, Charmaine Menezes, Faria Fernandes (heroine), Tony D'Silva(Inspector), Francis Moraes(Rich father), Maria Pereira, Chris Gomes, Grace Almeida, Olavio Da Costa(Inspector), Joe Rodrigues, Alwyn Gomes, Lourdino Rodrigues, A.C. Pereira, Auggie Pereira, Patrick Pereira and Josie Carrasco (Play Co-ordinator). All artistes gave their best and it would be unfair to mention a few as better than the others. Singers like the ever-impressive Ruth Kumar together with another ace songstress Hazel Jacob excelled as usual and most other singers gave their level best in raising this Tiatro to a level never reached here-to-before. The child artistes included Zacharie Gomes, Nikita Menezes, Michael Gomes and Allison Gomes. This play was produced by Francis Constantino. The band was by Illusion, the sound by Godfather Francis. The M.C was Mario D'Souza. Special effects and sets were done by A.C. Pereira, Lourdino Rodrigues and Charmaine Menezes, Jude Menezes, Joe Rodrigues. Film concept, editing, mastering was the brainchild of Jr. Menezes. The highlights of this Tiatro of course were the special effects of a running scene, the nostalgic scene of a roadside Goan white cross, the sophisticated sound and light effects, the gauddin character , the ghantti character and multi-faceted roles (at least 4 roles) of Jr. Menezes, the powerful dialogues and delivery of all actors with the accompaniment of the relevant music and cantos. This Tiatro would be a welcome debut performance on the Konkani stage in New Jersey, U.S.A. for the Goan/Konkani audience. It would create a great impact on audiences if performed in London or even in Goa, where it is sure to hit a century in no time. The standard of Konkani Tiatro performance in Toronto today can easily match the best in Goa any time.